Sears is now shipping to Maldives. Its good to see more online shops shipping to Maldives. I usually shop on Amazon, but not everything on Amazon can be shipped here to Maldives. 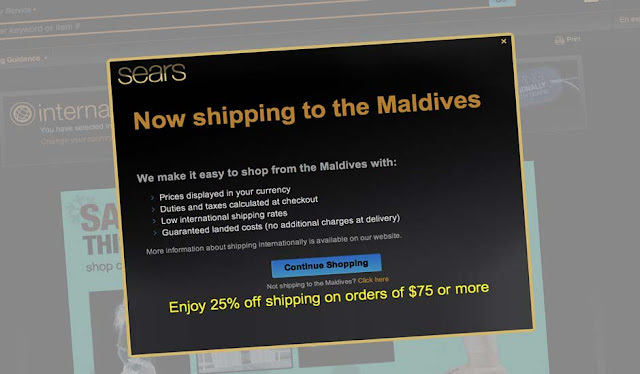 I herds Macy's now ships to Maldives, too. Good stuff.